If you have undergone a mastectomy, you deserve results from breast reconstruction that look and feel as natural as possible. Our New Orleans and Metairie practices are proud to offer what we consider to be the best method of breast reconstruction currently available: DIEP flap breast reconstruction. 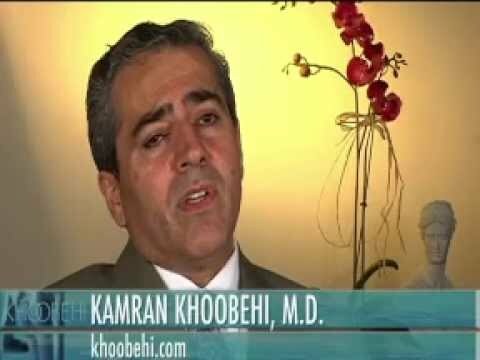 Only a small number of plastic surgeons have the skill and experience to successfully perform this advanced technique and Dr. Kamran Khoobehi and his associates are among this group. Breast reconstruction surgery may be done simultaneously with the mastectomy, or staged in separate sessions, known as delayed reconstruction. Implants are generally used to create a full and shapely appearance, but our surgeons are specialized to complete this process using an autologous fat transfer, which creates natural, gorgeous results. All of the options will be discussed early on during the initial consultation. Unlike other flap procedures that involve the transfer of muscle tissue to create a breast mound, DIEP flap breast reconstruction uses only skin and fat transfer in order to shape the new breast. Because muscle tissue is spared in DIEP flap breast reconstruction, the procedure is not as invasive as other methods, and it involves a shorter recovery period. DIEP flap breast reconstruction also gives patients the added benefit of also having a tummy tuck. The DIEP acronym stands for deep inferior epigastric perforator, and it refers to the stomach tissue that is used in the procedure. 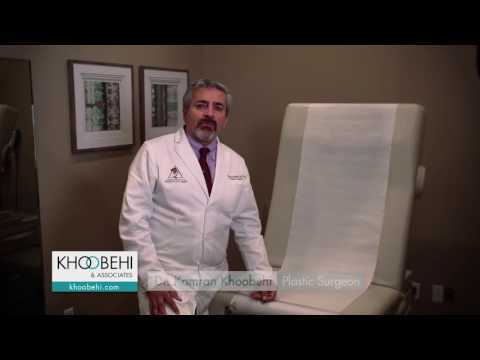 As Dr. Khoobehi removes this excess abdominal fat and skin for use in reconstructing the breast, the patient’s midsection is contoured and slimmed. Because the patient’s own tissue and fat are being used to create the breast mound instead of the foreign materials that are used in other techniques, the breast reconstructed using the DIEP flap method is softer and more natural-looking. "62 Y.o. With Breast Cancer. Breast Reconstruction Surgery. - Metairie, LA - Previous surgery with Dr. Khoobehi with an excellent outcome.This procedure, bil.PAP flap, was just as beautiful ,with much attention to detail. I would highly recommend him to anyone. His associate, Dr. Walters, was also detail oriented. He also had excellent bedside manner . I was pleased from my first pre op visit to discharge!" "I set up consultations with three recommended plastic surgeons. Dr. Walters was the third and before leaving his office that day, I teared up. I'd found the right surgeon. I was having a mastectomy and then radiation and then reconstruction. I had a lot of questions and concerns. He explained my options, the pros and cons of each option, gave his professional opinion, and took into account my concerns. He set me so at ease right away. After the mastectomy, while still in the hospital, the nurses taking care of me all commented on how good everything looked. After the mastectomy, I had radiation and had to wait six months before reconstruction. Friends who have gone through breast augmentations or have had breast reconstruction warned me that reconstruction would be the most painful part of my breast cancer treatment. I was ready for it. But it wasn't. I didn't even feel like I'd had surgery, at all. I even asked him how it could be that I wasn't in pain. Dr. Walters is the best." "Caring and Attentive... with the most Beautiful Results! 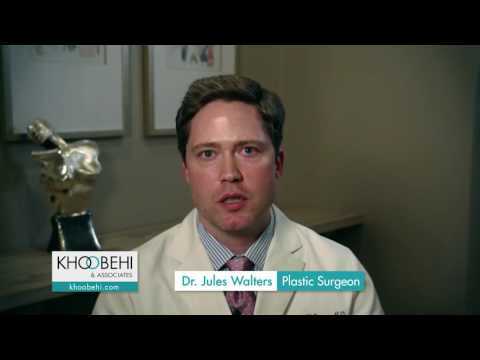 - I set up consultations with three recommended plastic surgeons. Dr. Walters was the third and before leaving his office that day, I teared up. I'd found the right surgeon. I was having a mastectomy and then radiation and then reconstruction. I had a lot of questions and concerns. Dr. Walters took his time explaining my options, the pros and cons of each option. He gave his professional opinion and listened as I discussed my concerns. He set me so at ease right away. After the mastectomy, while still in the hospital, the nurses taking care of me all commented on how great everything looked. Even my oncologist and the radiation technicians mentioned how great everything looked. I wasn't finished yet, but I already felt great. Before we could do the reconstructive surgery, I had to have radiation and that really complicates the surgery. Dr. Walters followed my progress with radiation closely. He has such a calming manner. Even when my skin was burned and looking awful, his confidence that everything was healing well set me at ease. Friends who have gone through breast augmentations or have had breast reconstruction warned me that reconstruction would be the most painful part of my breast cancer treatment. But it wasn't. I didn't even feel like I'd had surgery, at all. I even asked him how it could be that I wasn't in pain. Tiny scars, new beautiful breasts, and no pain. Unreal. Dr. Walters is the best. He's incredibly talented. There are certainly other talented doctors, but my breasts look better now than they did before the mastectomy and throughout this long process, Dr. Walters has given me confidence and peace of mind."